Last year's STAR WARS RUN was exhilarating, so many SW fans gathered for that glorious May the Fourth event. With over 15,000 participants in the inaugural edition last year, I bet this year it will even be more interesting! 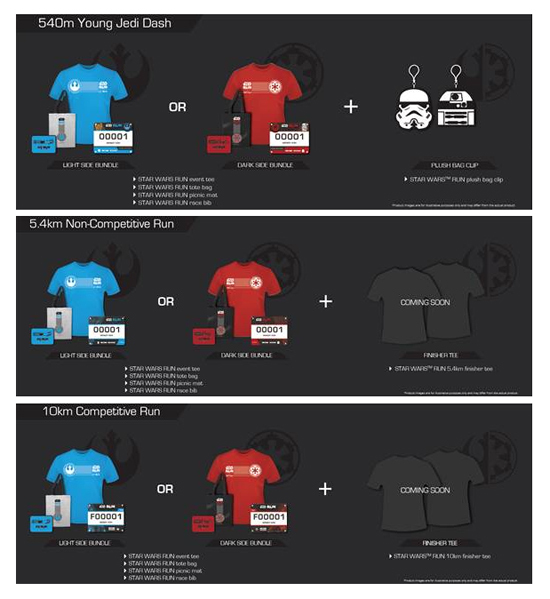 Registration is now open for the second edition of STAR WARS RUN Singapore 2018. The night run returns on 5 May 2018, with new elements and a different event venue - the F1 Pit Building and the Marina Bay area. 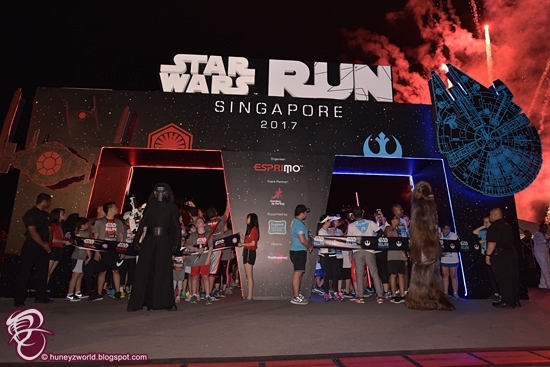 Presented by The Walt Disney Company Southeast Asia and local race organizer Esprimo, this popular themed run is definitely something STAR WARS fans and runners can look forward to. 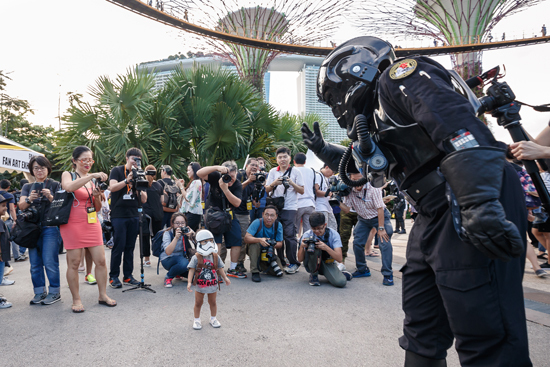 Along with the STAR WARS festival happening on May the 4th, STAR WARS RUN Singapore 2018 will bring a unique event themed around the iconic storyline and characters from the franchise. Fun activities at the Race Village include STAR WARS themed activities, interactions, food and beverages as well as an outdoor movie screening of STAR WARS movies. Participants will be able to pick either route – to join the Rebellion on the Light side, or follow Darth Vader’s footsteps on the Dark side. Both routes will feature engagement zones that will bring the STAR WARS experience to life with music and light projections and fun photo opportunities. 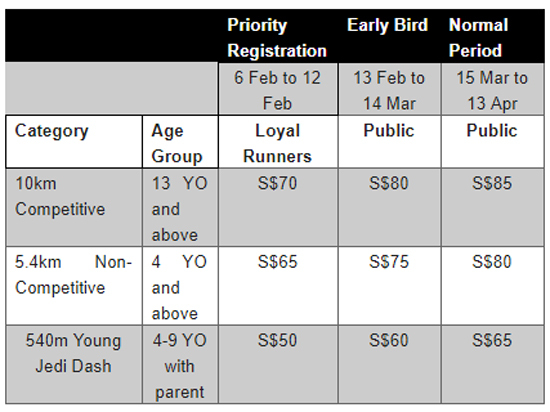 Increasing from two to three categories this year, STAR WARS RUN Singapore 2018 aims to cater to fans of all ages and fitness levels. On top of the competitive 10km and non-competitive 5.4km, the inaugural 540m Young Jedi Dash for younger children will be added to this second edition. Runners will also be part of a first-of-its-kind flag-off where the Light and Dark side participants for the non-competitive 5.4km will run in opposite directions. 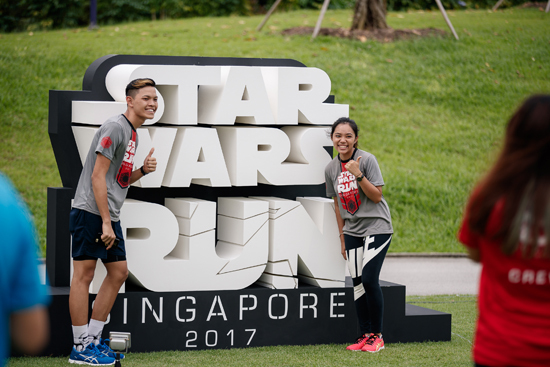 For registration and more information on STAR WARS RUN Singapore 2018, please visit www.starwarsrun.sg. All photo credits The Walt Disney Company Southeast Asia and Esprimo, unless watermarked.